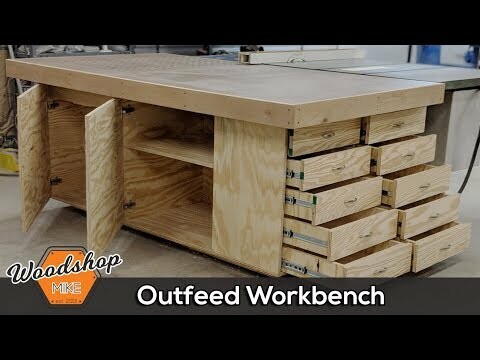 Build this multi-function outfeed workbench for your table saw and general woodworking tasks! The torsion box top is a great surface for assembly and the downdraft feature minimizes dust while sanding and routing. Huge Thank You to my sponsors for this build! Tools and Materials list in blog!